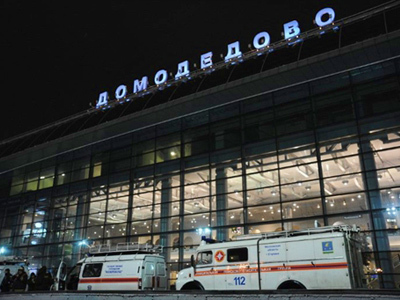 President Dmitry Medvedev has blamed the management of Domodedovo Airport for the terrorist attack that happened on Monday. ­Medvedev has instructed Prosecutor General Yury Chaika to inspect execution of legislation on security operation at the airport. A suicide bomber on Monday killed 35 people and injured more than 160 people. Domodedovo is a good and modern airport and many recognize this, the president said in an interview to be published shortly by Vedomosti daily. But what happened clearly shows that measures of ensuring security were violated, he stressed. It is difficult to bring such a quantity of explosives, the president noted. The airport management, all those who take decisions there and who are connected with the company “should be called to account,” Medvedev said. 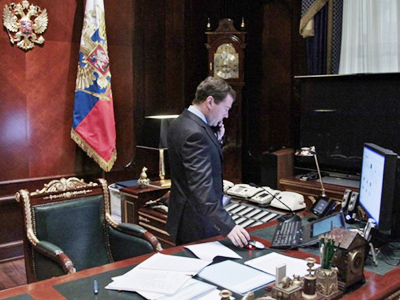 “It is a terrorist act, grief, tragedy,” Medvedev said in the interview. Judging by the location and other signs, “it was a well-prepared terrorist act directed at killing as many people as possible,” he noted. All necessary instructions to help those injured had been made, Russia has the algorithm of actions in such cases, he said. “We have first-hand knowledge of what terrorism means,” the president added. Security measures have been tightened on Russia’s transport system. People may be suffering from this, but it is a forced measure that sometimes has a vital significance, Medvedev said. After a terrorist attack on aircraft some time ago, legislation was toughened, the president noted. “But we have this evil – we do not always apply even the most important legislation,” he said. 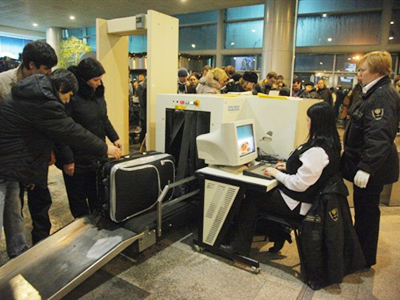 Prosecutors will check how these laws worked in Domodedovo. “I hope that law enforcement agencies will be able to establish the main version quickly enough and conduct the investigation," he said. So far no decisions regarding the management of the airport have been made. 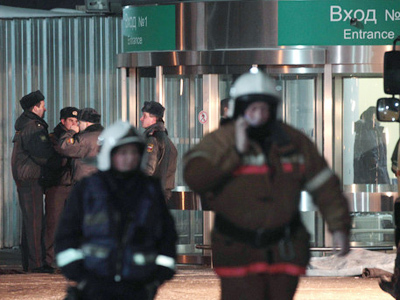 Dmitry Peskov, the prime minister’s press secretary, had earlier told the paper that problems of those who suffered in the blast should be solved first.